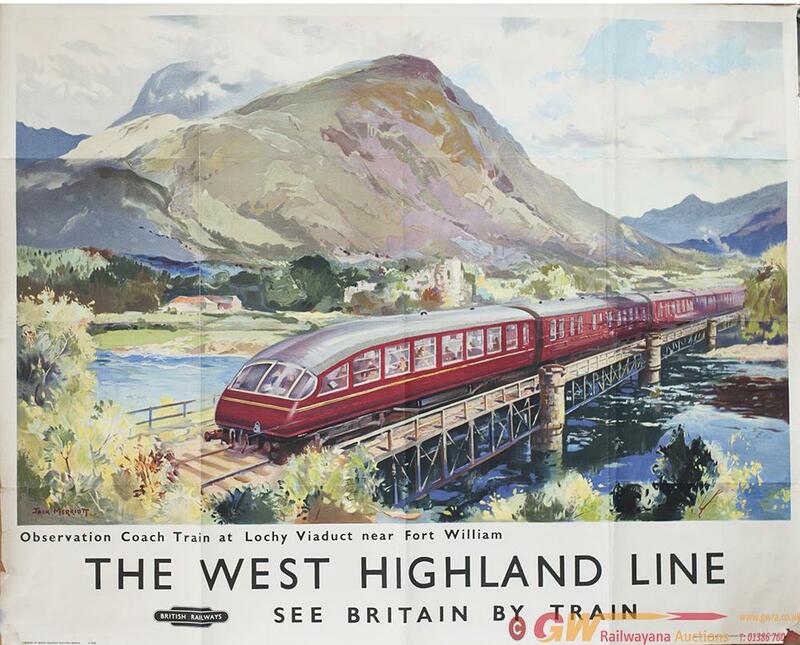 Poster BR(SC) THE WEST HIGHLAND LINE SEE BRITAIN BY TRAIN by Jack Merriott, view of Lochy Viaduct near Fort William. Quad Royal 40in x 50in. In good condition with a few small edge tears and small loss to bottom right hand corner. Has also been folded.